With up to 15,000 people doing the same thing, some planning is required to get the most from your Tanglewood experience. Tickets are sold for seats inside the 5,700-seat Koussevitsky Music Shed and for admission to the spacious lawn. Sitting in the front part of the vast Music Shed, you can hear the authentic sound of the orchestra unamplified. In the back part, the sound is amplified by loudspeakers. On the lawn, the music is conveyed by loudspeakers. Especially for performances featuring famous soloists and conductors, and the most popular musical works, you should buy seats in the Music Shed well in advance, as they may sell out. Lawn tickets can usually be bought at the gate on the day of the concert. You may buy a lawn ticket and upgrade it to a seat in the Music Shed on the day of the concert if seats are available in the Music Shed. Children aged 17 and younger can get free lawn tickets on the day of the concert (up to 4 tickets per family). Children under 5 years of age are not admitted to the Music Shed, and should use the rear half of the lawn. 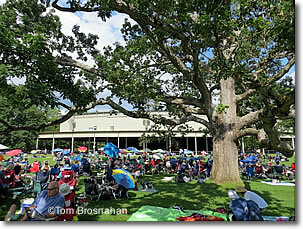 Tickets are sold online at tanglewood.org, or by phone from SYMPHONYCHARGE (tel. 888-266-1200 or 617-266-1200), or at the box office at Tanglewood. Beware of bogus ticket sources! 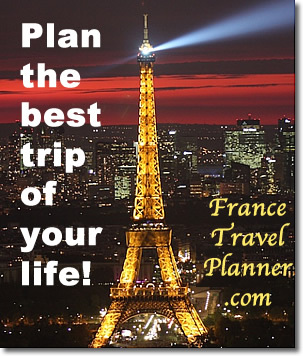 Some unauthorized websites will sell you "tickets" that are fake and invalid. Purchase your tickets only from the authorized sources mentioned above. Parking, wheelchair service, listening devices, etc. are available at the Main Gate. Call 888-266-1200 or TDD/TTY 617-638-9289 for more information. The Tanglewood Café, Tanglewood Grill and other food outlets are located on the Tanglewood campus. Concert-goers who buy lawn tickets usually bring their own picnics, sometimes elaborate, with tables, chairs, wine glasses, etc. No food or beverage (except water) is allowed in the Music Shed, but you can eat whatever you want on the lawn. —Don't plan to arrive at Tanglewood in time for the concert, plan to arrive in time for a picnic, then the concert. Parking, tickets, and finding a good spot on the lawn are all easier that way. The l-o-n-g stream of cars filling the parking lots will begin 3 hours before concert time. 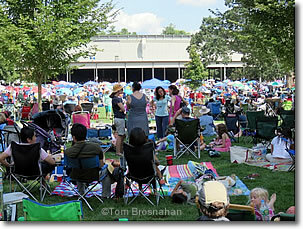 —Regular Tanglewood concert-goers bring folding chairs, umbrellas for protection from sun and rain, blankets to spread on the grass, even small tables for their picnics. Lawn chairs are available for rent ($5) from booths beside the lawn. Alcoholic beverages are (unofficially) tolerated if consumed discreetly, without any disturbances. —Plan to picnic and chat before the concert, and to listen quietly during the concert. Even on the lawn, respect for the music, the performers, and the audience, is expected and appreciated. shady location for listening to the music.